Mes coups de coeur, mes livres, mes films, mes envies, tout ce qu'il faut pour être une fille à Paris ! chocolat et sa crème anglaise ou encore le crumbble au pomme. 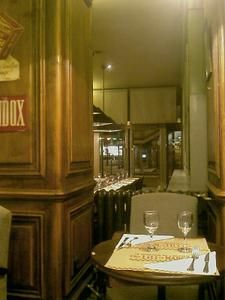 Cet article a été posté dans Restaurants Paris et taggé brasserie, français, paris, resto by Aurore. Sauvegardez lepermalien. I find I have so many ideas for series, I do a post intending to write several more, then get sidetracked chasing posts that feel more &#y2e0;tim2l8”. Example – I need to finish a series on “Barriers to Worship” (the follow-ups are started but not finished). I will also do a series on “biblical foundations of worship” but I want to call it something more interesting than that. Fifty Shades of Grey, coup marketing bidon ? Mes envies Comptoir des Cotonniers et un code promo ! canadian pharmacy dans Palette Naked d’Urban Decay, comment l’avoir facilement ! !